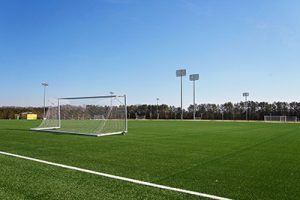 Henrico County will mark the newest addition to its park system Feb. 24-25 when the Richmond Ultimate Cup soccer tournament kicks off at Greenwood Park. 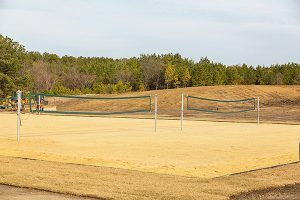 The park, along Greenwood Road in northwestern Henrico, features four lighted, synthetic turf fields for soccer, lacrosse and other sports, plus eight sand volleyball courts that were developed in partnership with the Richmond Volleyball Club. 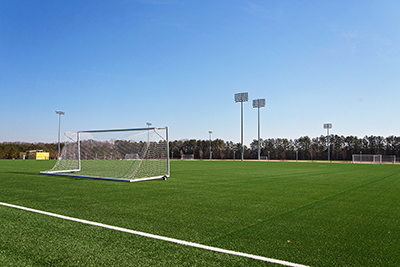 Greenwood’s synthetic turf fields represent a first for Henrico’s parks system, allowing year-round play by providing greater durability and reliability than typical grass fields. 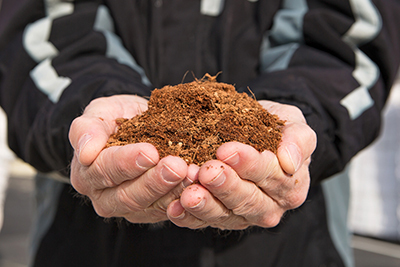 Greenwood’s fields use an organic infill material that is comparable to fine mulch and is mixed with sand to give the fields weight. Greenwood will be one of the area’s four primary field sites for the Ultimate Cup, which begins Feb. 24-25 with girls teams and continues March 3-4 with boys teams. Both weekends will feature play in the under-10 through under-19 age divisions. Greenwood also will host matches for the Richmond Strikers Jefferson Cup soccer tournament, which will be held over four weekends, beginning March 10-11. Additional tournaments and events are scheduled through late summer. Greenwood’s $11 million first phase of development began construction in September 2016 and encompasses about 40 acres of a nearly 200-acre property. 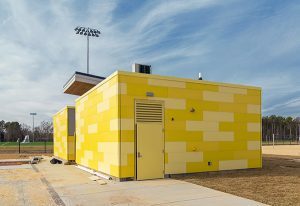 In addition to its multipurpose fields and volleyball courts, the project included road improvements, parking for nearly 400 vehicles and restroom facilities. Henrico voters approved funding for a $20 million second phase as part of the county’s 2016 bond referendum. For more information on Henrico’s parks and recreation sites, go to henrico.us/parks. Information on Greenwood Park also is available on the Henrico County Government YouTube channel: youtu.be/JMfeGmTKDK0.